While most Christians today view art from a distance and Christian discussions of art focus primarily on artists as lonely dreamers, this has not always been the case. 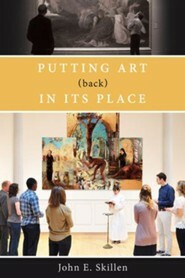 In Putting Art (Back) in its Place Dr. John Skillen, an expert in medieval and Renaissance art and literature, calls for the church to come together as one body to reclaim that rich heritage where art touched the entire believing community. 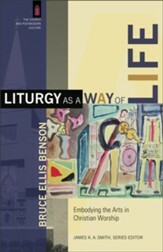 For quite some time, art played a vital role in the life of the community, assisting Christian community in performing actions that defined their corporate work and identity (their liturgies). Patrons commissioned artists, advisors helped to determine subject matter, and the whole church celebrated and partook in what was eventually displayed. Skillen offers readers a compelling call to foster a vibrant culture of the arts by restoring and cultivating active and respectful relationships among artists, patrons, scholars, communities and the art they create. 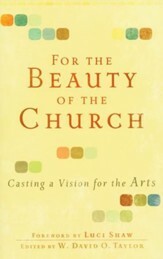 Putting Art (Back) in its Place equips laity and clergy to think historically about the vibrant role the visual arts have played--and could again play--in the life of the church and its mission. "Using the early Renaissance in Italy as case study and model, Putting Art (Back) in Its Place makes a powerfully persuasive argument for how art can and, more importantly, why art should play a significant role in shaping the life and aspirations of a community-civic or ecclesial. For those who ask why Italian Renaissance art and culture so captivates and conjures up a wistful longing for some lost ideal, this book provides at least part of the answer. Drawing on his many years of experience building intentional community for students in the hilltown of Orvieto, John Skillen skillfully unveils the power of works of art made for a particular people, place, and purpose and lays out a compelling vision for how art can inform-even shape-communal life in a voice that is truly his own-winsome, learned, and authentic." "This book has solid academic credentials, but it is not "academic" in the sense that word is too often used. The book springs from John Skillen's long residency in Italy and his intimate knowledge of Italian Renaissance art, and makes an impassioned argument that the visual arts can deepen our life together. He draws extensively from history to propose roles for art that are absent today, hoping that art might again live with us instead of continue its solitary confinement in museums and galleries." 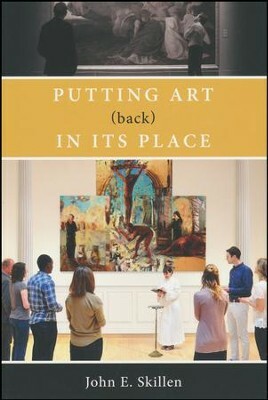 "Dr. John Skillen releases his long awaited book-which asks what role art can play at the heart of our communities (again!). He discusses powerfully the essential role it played in Italian culture over a 300 year period (before, during, and immediately after the Renaissance) revealing the depth of connection made to the deepest wellsprings of meaning and belonging. Dr. Skillen then moves us into a receptive frame of mind, offering hope and challenge as we consider a vital place for art once again-putting it (back) to work in its capacity to "say" those things embedded in memory, imagination, and the future vision of a people. A must read." 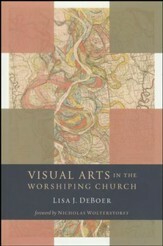 "This volume is an excellent resource for those teaching classes in art appreciation and also for church leaders who long for quality music, architecture, and visual art in their churches once again. 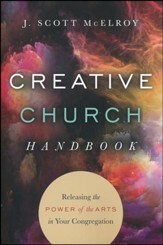 While dealing with topics that are at once historically rich and theologically deep, the book is approachable and easy to read for those with some background in the arts. As an added bonus, the book also offers access to a website which allows readers to visually see all of the pieces of art being discussed within the text-a wonderful advantage for today's visually-oriented student." John Skillen directs the Studio for Art, Faith & History at Gordon College in Wenham, MA, where he has taught since 1983. A specialist in medieval, Renaissance, and 17th-century literature, Dr. Skillen oversees several programs in Europe administered through Gordon's Global Education Office, and frequently leads seminars in Italy, where he directed the Gordon In Orvieto program from 1998 to 2009. I'm the author/artist and I want to review Putting Art (Back) in Its Place.